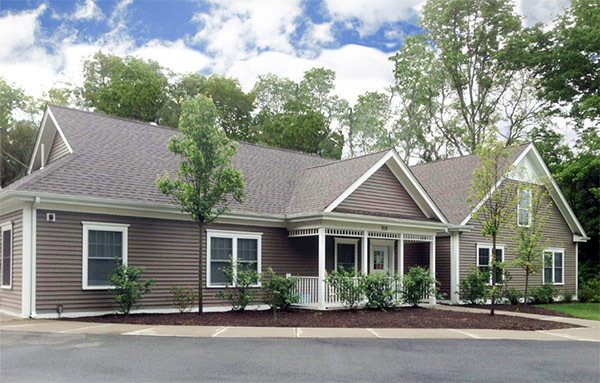 Blackstone Block Architects designed a 5-bedroom special needs housing project conforming to the Type B-Enhanced Rolland and the Department of Developmental Services design standards in N. Dighton, Massachusetts. The building includes enhanced accessibility and support systems through creative design solutions that provide a “dignified” living environment for all tenants. Design features include 42″ wide doors, 60″ wide corridors, direct exterior access from bedrooms, emergency generator and controls, damage resistent flooring and wall wainscoting, and an overhead ceiling patient lift system.